For those who see Dr Andrew Paddison you will know that he is a keen cyclist. What you may not know is that he has formed a Medland Dental Centre cycling team. The team is made up of both patients and staff and goes on regular monthly social rides. If you are interested in an excuse to have a coffee (and perhaps a recovery ride for the more avid cyclists) please join them on the 3rd Sunday of each month for a cruisy river loop, spin down to Sandgate or cruise out to Wynnum/Manly. This year the team will also be taking part in the 2013 Enerflex MS Brissie to Bay Bike Ride for the first time on 23 June and will be completing the 100km circuit. Medland Dental Centre is a proud supporter of MS Australia, and with the help of our patients and staff have raised almost $20, 000 to support to the MS Society and people living with MS. 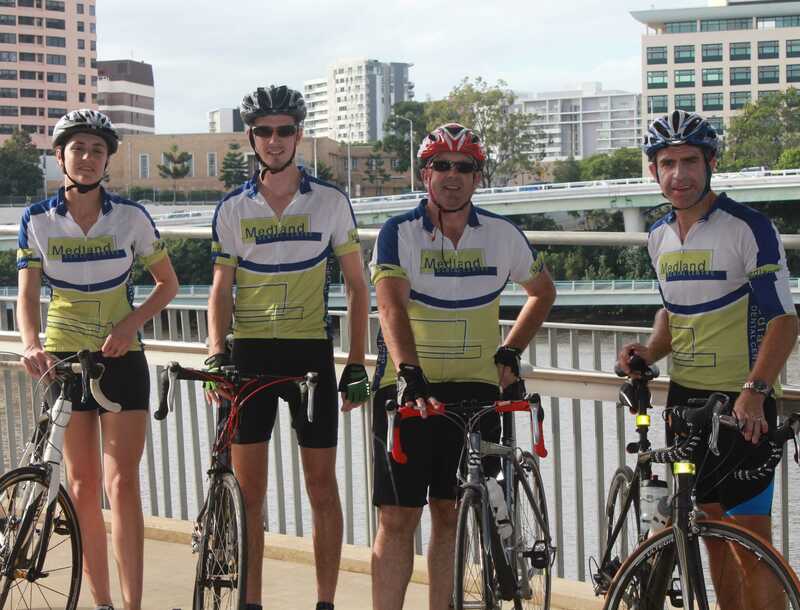 If you are interested in joining the team for the 2013 Enerflex MS Brissie to Bay Bike Ride or interested in taking part in the regular monthly rides, please contact Dr Andrew Paddison on info@medlanddental.com.au or 07 34265777.